An Obamacare tax that will be imposed in 2018 will raise premiums even further and is estimated to cost $270 billion over the next decade, according to a report commissioned by UnitedHealth Group. 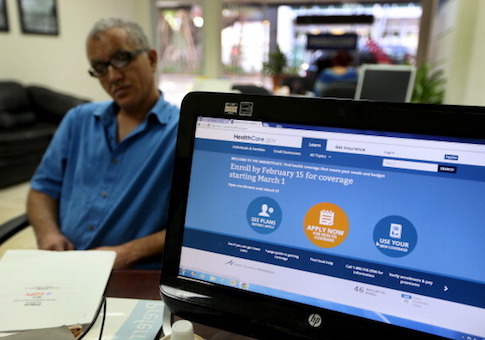 The report was commissioned to examine how a tax imposed by Obamacare would impact premiums. Under Obamacare, health insurers that offer coverage are required to pay a fee on health insurance premiums they earn, which is also considered a tax by the IRS. Congress imposed a moratorium on collecting these taxes in 2017, but that moratorium will end the beginning of 2018. According to the report, $13.9 billion in insurer taxes was not collected in 2017, which saved consumers about 3 percent on premiums. "However, under current law the moratorium will lapse in 2018 and the tax on health insurance will be reinstated for 2018 at a higher annual level ($14.3 billion), resulting in higher fully-insured premiums for the 2018 plan year and all future years," the report explained. The report notes that if the corporate income tax rate remains at 35 percent, for every dollar collected in taxes, $1.54 will be added to premiums. This could impact premiums by as much as $22 billion in 2018—over the next decade it is projected to cost $270 billion. "In summary, we estimate that the tax on health insurance will increase premiums by 2.7% in 2018, and between 2.6% and 2.8% in subsequent years when the amounts collected in taxes is mandated to increase at the same level as the premium trend," the report states. As a result of the tax, the report estimates an individual in the non-group market could see their premiums increase by $165 and a family in the small group market could see premiums rise by $523. Over the next decade, the premium increases could total $2,376 for an individual in the non-group market and $6,464 for a family in the small group market. A total of 156 million Americans could be impacted by this tax and see their premiums increase. The report notes that the rise in cost of health insurance leads to negative outcomes such as individuals deciding to delay getting coverage—potentially leading to a decline in the number of insured—raising the tax burden on small employers, and creating a more unstable risk pool, which could lead to higher premiums. This entry was posted in Issues and tagged Health Insurance, Obamacare. Bookmark the permalink.